G’day Nuggs. You say there is “so little evidence”. Have you ever sat down and watched these three videos listed together below? If you haven’t, I suggest you check out the first hand eyewitness testimonies. They are extremely compelling. Let's know what you think after viewing them. The second two videos are the Disclosure Project’s address to the National Press Club in Washington. In the first, over twenty highly credentialed military, intelligence, government, corporate and scientific witnesses came forward at the National Press Club in Washington, DC to establish the reality of UFOs or extraterrestrial vehicles, extraterrestrial life forms, and resulting advanced energy and propulsion technologies. It was a ground breaking moment that resonated around the world. In the second video, even more military and Intelligence people put their reputations on the line to come forward, all prepared to testify under oath to the United States Congress that UFO’s are real. Heady stuff indeed! The Disclosure Project is a research project working to fully disclose the facts about UFOs, extraterrestrial intelligence, and classified advanced energy and propulsion systems. They now have over 500 government, military, and intelligence community witnesses testifying to their direct, personal, first hand experience with UFOs, ETs, ET technology, and the cover-up that keeps this information secret. You can be 100% certain that ALL these highly professional people are NOT making up stories! And Nuggs, no doubt you are completely unaware of all this incredible information! There is only one logical conclusion that can be drawn: ET visitors are here… and the US Government knows a lot more than they are telling the public! Probably worth it's own thread! Apologies, I'm on mobile so can't stream movies for the time being. For now, will answer you generally, but am well versed on the "Phoenix Lights" event. Sure. They were flares on parachutes. There were never images of any triangular craft. ALL images show only a row of lights in a wide formation not uncommon for aircraft. The lights appeared to maintain their course over distant military airspace more than 50 miles away. The lights were nowhere near Phoenix - vids show them disappearing as they go behind the Sierra Estrella mountains. Is a big leap to claim that it's proof of aliens when a much simpler explanation fits the bill. The 1st mistake most make when interpreting the vids and pics is to compare the lights to the immediate horizon at Phoenix, which would give a false perspective and fool even the most avid skeptic or ET proponent, if unaware of the local geography. But you're 100% certain they're not just flares? I don't believe that for a moment. However, there is no doubt of UFO's, and such testimony is often accurate, but still not evidence of aliens. Such as many would attest aliens to the "Phoenix Lights", which turns out is not ET at all. 1. Extraordinary claims do require extraordinary evidence. 2. Absence of a worldly explanation does not automatically mean "Aliens". 3. A government cover-up does not necessarily mean "aliens" either. The pleural of anecdote is "anecdotes" - not "data". Glad you made this a proper thread. I doubt the general disscussion section has had this much action in awhile. I dunno if Nuggs is checking out these videos but thanks Searcher and Trevor for the links. I knew ancient aliens was dodgy but im only half an hour in to the doco and theyve already proved the aa guys are full of it. The flares explanation for the Phoenix Lights does not add up. Witness reports of the craft came in from 8.15 pm which is over an hour before the air force claimed they dropped magnesium flares between 9.30 and 10 pm. The flares were also dropped in a different part of Arizona from which the craft was sighted. They were two separate events. Also, expert analysis on the videos taken over Phoenix by Dr Lynn Kitei has confirmed they could not possibly be flares. Check it out. The ‘flares’ explanation conveniently ignores the many 1000’s of people including expert witnesses like pilots, police and military personnel who saw a solid V shaped craft of massive size. It was viewed from multiple vantage points across the state for 106 minutes! Sound like flares? Don’t think so. It was definitely something else. And I don’t think anyone on this planet builds mile wide craft that are absolutely silent! This History Channel program on the sighting is well worth a look. Arizona Governor Fyfe Symington served in the US air force and has been flying most of his adult life. He had a ‘magnificent view’ of the giant craft for over a minute, as did 1000’s of others. Something unknown and really big flew over Phoenix that night of March 13, 1997. No Nuggs, it wasn’t just flares! If you still say it was, then you are just denying all the evidence. Suggest you borrow a computer to view the videos and see for yourself. Hi nuggs, I’ve been following this post with interest. we should be cautious about thinking it’s ET’s or a cover-up. untrained human eye can discern distance by the horizon line and angle. because a lot more people have seen UFO’s’s then have had actual sightings or interactions with ET’s. I’ve watched many of those vids on ufotv, seen in the link Searcher so kindly provided. then when I’m presented with a grainy image of a disc in the sky. Maybe to quote TP’s post, I'm exhibiting confirmation bias. I’d like to know what your fourth point means ‘my signature’. Good points all, and thank you. I'll get around to reading more and watching those vids when I get home. Currently working away. I will point out though that the title of this thread is misleading (deliberately? ), in continuation from my original thread (New - From Sydney, in the off topic forum). *I don't deny that UFO's are real. *My argument is that UFO's are not proof of ET's. Upfront, I don't at all believe in Yowie, Yeti, bigfoot, ghosts, ET UFOs etc. I think your point was somewhat poorly defined in the first sentence. It is probably not unreasonable for us to have missed the lack of a comma between ET and UFOs. 1. So you acknowledge UFOs, but as what? -Physical flying craft perhaps? That travel under water and change from one medium to the other without pause, pull high G turns at ludicrous speeds that would leave any human pilot as a red stain on the inside of the cockpit, change shape rapidly, separate into individual objects and merge into a single one from many, change intensity of illumination, leave physical evidence upon landing and yet vanish from visual and radar scrutiny at will. - How do you explain the above phenomenon that is beyond currently known human technological capabilities? Do you appeal to secret government black projects and technology, because if so, there is no independently verifiable evidence that such projects entail anything more spectacular than the legitimate, normal advancement in currently known technologies. Thinks like hypersonic launch vehicles, super soldier tech, the latest in stealth aircraft, etc. None of that explains how the above phenomena could be possible in man-made craft. - Have we reverse engineered someone else's technology? If so, who is that someone else? - Are you a Sci-Fi fan (Trekkie, Gater or Whovian?) that believes the US government has invented warp drive, inertial dampeners and my personal favourite, a Klingon cloaking device, but is just really good at keeping it secret? 2. You either don't believe in ETs, ascribe them to some other origin and/or simply don't believe they are linked in ANY way to the UFOs from point 2. Which is it? Perhaps the easiest thing to demonstrate might be "how the UFO phenomena can be completely separate from even the idea of ETs." Care to have a crack at that one? What are Grey's, Nordics, Reptilians, etc? - Physical evidence of the above including scars, etc. Because as you have noted, we misconstrued your original point, let me clarify some of my position on this. I will summarise and try to be brief while staying away from several other phenomena that I suspect are also related. You have to draw a line somewhere right? The volume of sightings from credible witnesses, radar tracking and the physical traces left behind indicates that a real phenomena exists (the UFO phenomenon) that is capable of physical manifestation in our world. The objects associated with this phenomenon are in a significant number of cases, seen containing humanoid figures. The objects perform actions not currently possible using any known human technology. The objects perform actions that exceed the physical capabilities of human pilots to withstand using currently known technologies. Cattle and horse mutilations are often seen in the proximity of aerial phenomena identical to the UFO phenomena, hence a link to that phenomena. The mutilations are done with precision (some claim cauterized) cuts and typically involve removal of flesh and selected internal organs - this is not explainable as the actions of humans or animals within the context of the events recorded. A significant number of people have claimed to be in psychic contact with entities who describe themselves as from other planets and have been travelling here for thousands of years in their craft. 3rd party witnesses to this phenomenon have described remarkable similarities with the automatic writing of the previous century. The messages given to contactees often contain errors or untruths, is sometimes sinister and has been described as deceptive. Nevertheless there are several points of linkage to the UFO phenomena. Abduction experiences have been estimated to occur in the lives of between 1 and 3% of Americans. If we take the lower figure that is about 3 million people at today's population figures of 318.9 million. Professional investigation and Psychiatric analysis of hundreds of alleged abductees has shown that whatever happened, they fully believe it and are not inventing it. In some cases, medical examination has shown physical traces associated with the phenomena. The common abductee claim is that they were taken onto a craft of some kind and that the beings they interacted with were not human but were humanoid looking. This provides a link to the UFO phenomena. I believe abduction phenomena is real to those experiencing it, is not hallucinatory in the sense that the whole thing is imagined, but it may not be exactly what they think it is. History has lessons to teach us and historical accounts of unexplained phenomena have disturbing similarities with modern UFO, abduction and contactee phenomena. You will notice I did not say I believed in ETs either. This has been a lot of fun Nuggs but it is somewhat of a sidetrack for me and I really want to get back to focusing on the Yowie/Sasquatch/Yeti/Yeren phenomenon, even though it may be related at some points. Defining and investigating those intersections of the various phenomena is very interesting. I did the hard yards looking into the UFO issue a number of years ago and I'm resisting being dragged back into it. Just mainly keep tabs on anything new and read the occasional book that I haven't seen before. I guess that means I will be interested in your responses but will leave the debating to others. There is just too much to cover. Some light reading I ran across. The Cometa Report was compiled by a group of French military officers (mostly retired), defence officials and aerospace industry officials to assess the UFO phenomenon and its possible implications for defence in France. Mentioned by Jaques Vallee in this little video. Thanks for your patience TP! I appreciate your comprehensive responses. Note: I didn't initiate this discussion! I'm also good at grammar - so the use (or ommision of) a comma is deliberate, and the statement being misconstrued is purely error by the reader. Lets face it; we don't know for sure. That doesn't mean it's aliens, à la "Ancient Aliens". It's likely there are aliens out there. It's possible the are visiting (or have visited) earth, but unlikely considering our understanding of physics. There is no proof that aliens have visited earth. Anecdotal evidence is great - and would be even better if it could lead us to something more solid - but by itself it is not evidence or proof. "Due to a lack of objective physical evidence, most scientists and mental health professionals dismiss the phenomenon as deception, suggestibility (fantasy-proneness, hypnotizability, false memory syndrome), personality, sleep paralysis, psychopathology, psychodynamics[and] environmental factors. Skeptic Robert Sheaffer sees similarity between the aliens depicted in early science fiction films, in particular, Invaders From Mars, and some of those reported to have actually abducted people." Once again, lack of a decent explanation does not mean it's alien activity. That's classic confirmation bias. I'm not well aware of this. Though seems purely anecdotal, and a lot of Ufologists think it's a bit of a joke. It would be awesome if aliens were visiting us, and I'd be thrilled if it were true. But right now there's just no proof. It’s a cold and wet day in Melbourne, so thought I’d check on what people are saying on AYR. Trevor, thanks for those links. They are well worth watching. Nuggs… Saw your last post and thought a couple of points needed discussing. You say it is unlikely they have visited considering our understanding of physics. What physics is that… is it ours or theirs? Seems you are assuming any visiting ET's are on a similar level to us. They may be millions of years ahead in technology! Their understanding and application of inter-dimensional physics could be light years ahead. 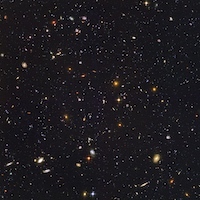 Remember the universe is 13-14 thousand million years old, so a mere million years is just a drop in a very large bucket. Imagine where earth's technology will be in just 100 years! I believe the universe is teeming with life, spread throughout the cosmos in both time and space. You also claim there is no proof aliens have visited earth. The proof is everywhere! Anyone just has to open their eyes and look. It comes in the overwhelming number of eyewitness encounters by people in all walks of life. I take particular note of all the astronauts, air force and commercial pilots, military, police and intelligence community people who have reported significant encounters. Many sightings have multiple witnesses and are backed up with detailed radar. Like the amazing case of JAL flight 1628 over Alaska. http://www.youtube.com/watch?v=dMn1PiNZfkU They are NOT all mistaken or making things up! This phenomena is real. How do I know? I have been fortunate to have had two very clear sightings that I have documented elsewhere on this forum. Then there is Roswell. Study what happened and you will clearly see the results of a massive cover up by the military. That’s what it’s always been about. Can’t blame them... The secret government agencies want to reverse engineer that captured alien technology. And they have! Many believe the US now has working alien reproduction vehicles. So much so, it is said of all the UFO’s seen in Earth’s skies these days, about half are ours and the other half are ‘theirs’. The US government has proof of the alien visitation, but it remains locked up in black budget projects. The US spends over $50 billion a year on these covert projects. This is not just my opinion, it is also that that of Dr Steven Greer, founder of the Disclosure Project. Dr Greer has access to first hand knowledge of the workings of the 'governments behind governments'. These cabals are known as the "Military Industrial Complex", something that President Eisenhower warned about way back in the 1950's. Quite obvious I said "our". Anything else is just speculation, and therefore not valid as an argument. Correct. Anecdotes are not proof. A government cover up, if it happened, is not proof of aliens. Does it make it true if "many believe"? Like God? Or the flying spaghetti monster? You know what our closest proof of ETs is? If that were repeated it would be undeniable. ^That, or similar data, would be actual proof among the BS. Maybe you should take a holiday trip to Skinwalker Ranch Nuggs. You might find it illuminating for a hardened sceptic like yourself. It certainly has investigators baffled. You may not want to bother watching these clips though, as it seems you subscribe to the Sceptics Dictionary meaning of anecdotal evidence and thus use it as a shield of steel to deftly deflect all those troublesome eyewitness testimonials. I am left wondering though, if this type of testimony by eye witnesses is so unreliable and prone to error, how our justice system can tell credible witnesses from unreliable ones and still uses eye witness testimony as the primary means of conviction in felony cases. Your opinion or not, eyewitness accounts are not proof of anything. Would you say eyewitness testimony is always true? Well said, Trevor. Seems Nuggs has now officially blown his cover and is now clearly identified as a complete and utter skeptic who believes nothing that even astronauts observe and publicly say about UFO’s can possibly be true. Why? Because it doesn’t fit his blinkered mindset. To me, that’s really, really sad. Why not have an open mind and treat with respect people who are brave enough to come forward to tell about their amazing UFO encounters. I suppose Nuggs thinks all the 200+ witnesses to the landed sliver disc in the Westall school case (described elsewhere on here) were all imagining things! Or it was just a special Australian Government secret project back in 1966. Yeah.... right! As Stanton Friedman has said of his skeptical adversaries, their view is “don’t bother me with the facts, my mind is made up”. That’s you, Mr Nuggs. Be interesting to see if Nuggs super skeptical ways follow him across to the Yowie section of this forum. Others might not be so kind. Sounds like you've had a few bad encounters there mate! I have read a tonne of ufo and abduction books and ive learnt more from Searcher and Trevors posts and links on this thread than any of the books ive read so thanks guys. I can appreciate Nuggs skeptism. Its funny what some people believe in. Some swear theyve seen ghosts but wont believe in alien abduction stories even though they can be quite similar. I've had some weird experiences too. Over time ive been able to discount all but a few. Im sure one day ill stumble across a similar experience someones had and get a logical explanation. The thing is if no one mentions that they have had an odd experience then even sometimes explainable "normal" things will never come to light or be discovered. If no one talked to their shrinks about sleep paralasis symptoms then we wouldnt know it existed and there would be even more people running around claiming to be held down by aliens or demons or whatever happens. My point is (and there is one) is that without witness accounts then even explainable things like sleep paralasis wouldnt be known let alone aliens,ghost etc. In my opinion,honest witness accounts are very important in a lot of ways and shouldnt be discouraged but i dont blame anyone for keeping things to themselves in fear of ridicule. Nuggs wrote: Would you say eyewitness testimony is always true? This statement is just a little sarcastically disingenuous don't you think? Nuggs wrote: Your opinion or not, eyewitness accounts are not proof of anything. I disagree and so do numerous professional disciplines that utilise personal testimony to gather information. If you want to find out how to assess eyewitness testimony to evaluate credibility, then there are many resources available on the web, just search. You should also find that differences in witness accounts of the same event can be a positive marker of authenticity, not negative - it helps to differentiate between a true account (perceived slightly differently by simultaneous witnesses) from a constructed false story. The fact that something is not "perfect" does not mean that it is without value. A significant corpus (such as we have with the topics at hand - not just one or two) of similar eyewitness testimony attests to the reality of a phenomenon. It does not provide a detailed cogent explanation of a phenomenon or event but it does count as evidence of a phenomenon's reality. Analysis of the similarities in the accounts can lead to development of hypotheses seeking to explain a phenomenon and lead to a range of likely possibilities that can be subsequently tested against all data collected from that point onwards. To say the imperfectness of personal testimony invalidates ALL such testimony and thus ascribe it no value is an untenable position. For example if you don't take people at their word, without good reason, you are destroying relationship and trust, these things have societal value. You use the word PROOF quite a lot. I would be interested to know what you consider to be acceptable proof of something. When is a thing considered to be PROVEN in your thinking? If you blindly believe what science tells you (without checking it yourself) then you might be in for a rude shock as well. A lot of what we take for granted as having been "proven as fact" by science is nowhere even close to fact and remains in the realm of theory, only valid until the next discovery of previously unknown data, if there was even data to begin with. For example, evolution, the origin of comets (oort cloud), big bang theory, the speed of light, sea floor spreading, continental drift and the structure of the atom, to name a few. Now some of those you would think have very good data to back them up, however, once you burrow into the published literature and find the actual data it becomes obvious that it has been interpreted in "special" ways. I think it was evolutionist professor Steven J Gould that said something like "facts never speak for themselves, but are interpreted in the light of opinion." An example might be the famous Al Gore hockey stick curve of global temperatures that was massaged by an algorithm that conveniently flattened out the temperature rises in the Roman period and the middle ages because it did not fit the assertion that human-caused global warming had only caused significant temperature rises in our time. Even after it was pointed out to them, they still used the diagram. Is that really being honest with the data, as I mentioned in a very early post? Another one might be the supposed magnetic reversals measured from the mid-oceanic faults where the data was actually interpreted as a plus or minus from a mean value (of magnetic field strength) rather than an ACTUAL reversal, yet this data still stands as well. So if you subscribe to the Doubting Thomas principle then you should only believe that which you can physically witness yourself. You shouldn't even place your trust in science and it's so-called verifiable facts. But then who would believe your account of what you have seen? Personal testimony is unreliable right? BTW - don't worry about Searcher, he is just getting a little frustrated with your one line responses with no substance. You are fully entitled to believe or disbelieve anything you want, I'm sure you know that. Brevity can be useful, but it can also be a disguise for a lack of real substance to an argument. I just realised I'm still getting drawn into this discussion!! Darn it!! It's like chocolate, bad for my waistline but tastes so damn good. Trevor, you have the patience of a saint. If you cant wake up from the nightmare...,maybe your not asleep at all!! ?